Digital Download - Snail Trail Quilt Pattern by Missouri Star - Missouri Star Quilt Co. - Missouri Star Quilt Co. Here at Missouri Star Quilt, we like fast and we like easy, so don't let the name fool you! 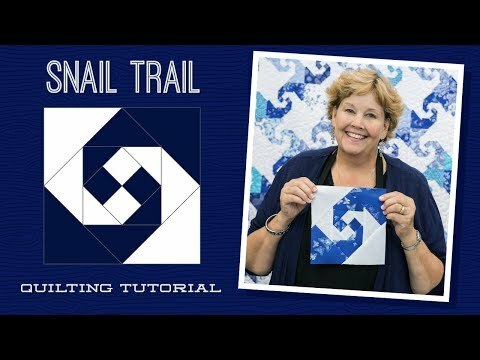 The Snail Trail quilt pattern calls for 10" squares, so it's impossible to sew at a snail's pace!! Finished Size: 76" x 91"